Have you hired a general contractor? Are you acting as your own contractor? In either case, getting a glimpse inside a contractor’s head can bring valuable insights into the best way to approach your renovation project. In many instances, it can be difficult to tell whether you are hurting your project until the final stages. 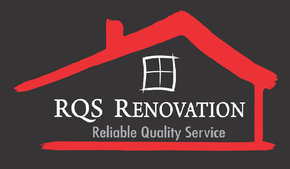 RQS Renovation is here to help. Read on to learn about the steps you can take to ensure your project is a success. If you want your remodelling project to succeed, the best thing to do is make every single decision before any work begins. A qualified builder can talk you through all the various situations you might come up against, yet situation-based decisions aren't usually what cause delays; most renovation delays are caused by decisions related to small things, such as choosing the right paint, trim or faucet. These may seem small, but when your faucet is two weeks late, plumbers are rescheduling and the medicine cabinet door is hitting the faucet after the installation, then you’ll truly understand how something that seems “small” can balloon into a week’s delay on a five-week project. It seems like an obvious way to save money since you reason a builder is only going to mark up the cost of materials and pass that added cost on to you. That’s true, but the builder may get a better price than you to begin with, meaning that even after the markup you'll be paying the same price. If you find out that the work you wanted to do costs more than you expected or budgeted, you’re in good company. It’s almost unheard of that a person sets a realistic budget for a project. But don’t eat into your contingency to stretch the budget. If you follow rule number one and make every decision ahead of time, you can probably get away with a 5-percent contingency if you have a good general contractor, such as RQS Renovation. Skill — Do you have the necessary skills to build a sound structure, and do it safely? Scale — Is the size of the project one that you can handle in a reasonable amount of time? Cost — When factoring in the value of your own time, can the project be completed for less cost by a professional? Do you have the tools you need? Aesthetics — Can you finish the project attractively enough that you're not sacrificing your home’s resale value? Would a rough grout joint or wallpaper seam bother you? Even though it's inevitable that you'll change your mind about something on your project, know this: Every time you change your mind, it'll result in a change order. Although the change may seem minor, there are always added costs — even if it's only the time spent discussing the change. Everyone makes changes, and that's OK — just be aware of the potential to disrupt and delay the job. Though a builder will rarely come right out and say this, some houses should be knocked down rather than have money put into them to fix them up. Though this is a rare situation, it’s common for people to put money into fancy cabinets for a house with a sagging foundation, or into a high-efficiency furnace in a house with no insulation. Listen to the professionals who come to look at your job and be open to their suggestions. Here's a good example of a project where even if you feel you have the skills to perform the task safely and properly, you may not be able to complete the project in a short enough period of time to avoid exposing your home to rain damage. If you can't get your roofing project done in a couple days, don't start it. Even professionals can underestimate the time a project will take to complete, so you may want to double your estimate. Even if you have the skills to complete the project, professional carpenters will have the tools and experience to get the job done quickly. If you are trying to complete the project on a part-time basis, remember to factor in setup and cleanup time. Working a full day is often much more efficient than an hour here and there. I know, it sounds ridiculous — if you can't paint, what DIY project can you do? Keep in mind, I'm not here to stop you from painting your own house. Just consider that a good, lasting paint job takes a lot of prep work. Sometimes this can involve wall repair, scraping paint (which can be a health risk if it's lead paint), priming and caulking over old finishes with various products. Depending on what you're working with, you may need someone with more experience to help. The pace of tile installation is slower than that of wallpaper, and there is a lot of contemplation that goes into a good tile installation. If you aren't experienced, you may discover something you should have thought about when it's too late. You also want to prep correctly. Tiles are all different and require different approaches to installation. Your DIY tile floor may look good when it's done, but can you be sure it will hold up and not crack in a year or two? If you are confident about that, go for it. If not, call a professional. For a free estimate on your exterior project, call RQS Renovation, today! Because of our experience and dedication, RQS Renovation is simply the smart choice for all your exterior renovation needs.